The Governments of the Republic of Ghana and Malta have signed five Memoranda of Understanding (MoU) for the establishment of partnerships between the two countries. The President of the Republic, Nana Addo Dankwa Akufo-Addo, has urged Maltese companies to take advantage of the new impetus given to Ghana-Maltese relations by the reciprocal high-level visits of the last eighteen (18) months and invest in Ghana. The President of the Republic, Nana Addo Dankwa Akufo-Addo, says his Government will continue to maintain fiscal discipline in the aftermath of the exit of the IMF programme. The World Bank Vice President for Africa, Dr Hafez Ghanem, has praised the Ghana Government for its revolutionary decision to provide Free Senior High School education to Ghanaian youth, and has pledged the Bank's support for its sustenance and improvement. Harambee Stars coach Sebastien Migne has attributed their 1-0 loss away to Ghana in the final 2019 Africa Cup of Nations (Afcon) group "F" game on Saturday at Accra Sports stadium to poor planning. Harambee Stars goalkeeper Patrick Matasi has admitted conceding what has been termed an easy goal in the 1-0 defeat away to Black Stars of Ghana in the 2019 Africa Cup of Nations (Afcon) final group "F" game on Saturday in Accra. South African companies partaking in an Outward Trade and Investment Mission (OTIM) that gets underway today in Ghana are keen to explore trade and investment opportunities in that country. 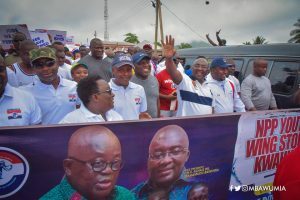 The President of the Republic, Nana Addo Dankwa Akufo-Addo, has reiterated the commitment and determination of his government to bringing development to all parts of this country, without discrimination. The Black Stars of Ghana beat the Harambee Stars of Kenya 1-0 to finish top of Group F of the Total Africa Cup Of Nations 2019 qualifiers. Nairobi -Harambee Stars finished second in Pool F of the 2019 Africa Cup of Nations Qualifier after falling 1-0 to the Black Stars of Ghana away in Accra in the final round played on Saturday. 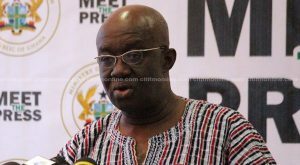 Ghana's inability to publish an audited report on its extractive sector has angered an International body established to promote accountable management of oil, gas and other mineral resources. Minister of Energy, John Peter Amewu, says the government is aiming at 100 percent electricity penetration and to also ensure that there is affordability. Direct selling is a major key to economic empowerment of Africa's booming population.Direct selling remains one of the key business activities in American's economy till date. Nairobi -Irene Omwenge is the lucky winner of the Fly Your Flag promotion a Betway initiative which ran throughout the month of February. Dakar, Senegal -Authorities in Ghana should hold to account the police officers responsible for beating journalist Malik Sullemana, ensure a thorough investigation into their actions, and protect the safety of the press during interactions with police, the Committee to Protect Journalists said today. The HUAWEI Mate X foldable 5G smartphone won GSMA's prestigious "Best Connected Mobile Device of Mobile World Congress 2019" award with its Falcon Wing Mechanical Hinge, 5G communication capability, innovative human-smartphone interaction and HUAWEI SuperCharge during Mobile World Congress Barcelona 2019.